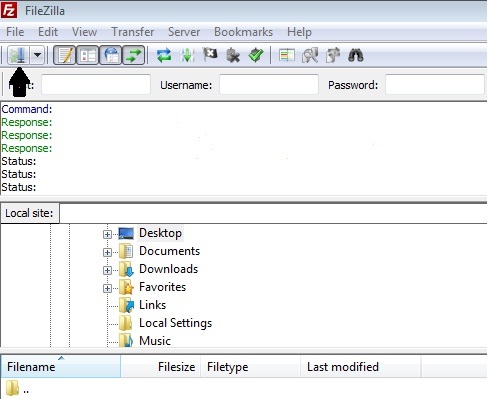 Once you have chosen FileZilla as your FTP client, you can use the following step by step guide to help you configure it with the proper settings. Click on the "Related Link" below. Launch FileZilla. To configure your site, open the Site Manager by clicking on the icon in the top left corner. Enter a name for your Website where it reads "New FTP site." 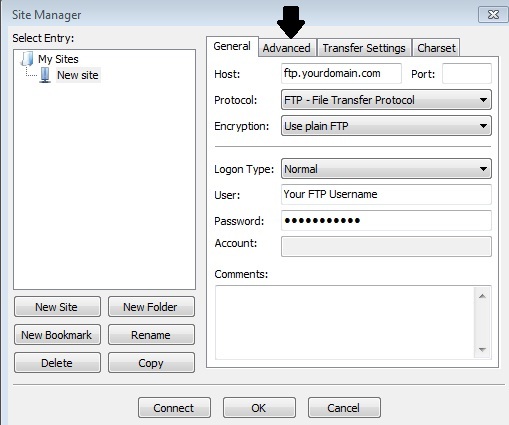 Next fill in the "Host" field with "ftp.yourdomain.com." The "Servertype" should be set to "FTP." Change the "Logontype" to "Normal." Then enter your FTP username and Password. Next press the "Advanced..." button. Enter "/public_html" in the "Default remote directory" field. Press the "OK" button.